Nothing can compare with waking up to hear a lion roar in the distance or getting a close up view of elephant herds wandering through the bush, so it’s hard to put a price tag on such an unforgettable experience. The reality is that going on a safari in a private lodge will probably take up a significant chunk of your holiday budget. And yet, we are 100% certain that you’ll leave your safari thinking that it was completely worth the cost. One key thing to remember is that a private safari lodge is far more than a place to rest your head. There are so many added trimmings included in the price, such as great food, unique and atmospheric accommodation and two guided game drives per day. This means that while you’re staying at your safari lodge, you won’t be delving into your spending money at the same time except for drinks and souvenirs. Even though private safaris don’t come cheap, they needn’t cost the world. This is something that we’ve learnt over the years and we gathered together some handy tips to help make your private safari experience easier on the pocket. For example, self driving in Africa is not only an adventure all of its own, but a great tactic for keeping costs down. Here’s our lowdown on making your safari budget stretch that little bit further. We hope that you find it useful, and you’re obviously very welcome to call us on 01932 428380 to talk through some ideas for your safari holiday too. Travelling in the low season is a brilliant way to get more for your money. If you can be flexible with the time of year that you travel, you’ll be in a position take advantage of some very generous low season rates offered by many safari lodges. In South Africa, low season rates run from the beginning of May until the end of September, which is South Africa’s winter. Oddly enough, this is NOT the rainy season for Kruger National Park and many other private reserves in South Africa. Instead, the low season rates all across South Africa are linked to the rainy weather in Cape Town! This is great news for wildlife lovers, because these are actually the best months for a safari in South Africa. 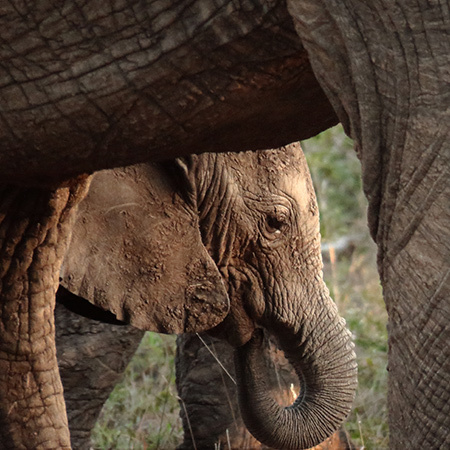 For Kruger and Madikwe, May to September is the dry season. At this time of year, the bush is not as green and lush, making for much better game viewing, and, as it’s dry season, the animals are more reliant on waterholes and rivers. This means that finding the game is easier too in winter. If your dream is to watch all kinds of African animals gathered around a waterhole at dawn before the heat of the day sets in, this is your best bet. Outside of South Africa, however, it’s a slightly different story. In Zambia, Tanzania and Kenya, the low season rates do tend to coincide with less favourable weather conditions. Of course the wildlife is still about, whether it is raining or not, so if you’re a real animal enthusiast, don’t let the rain put you off! During the low season in East Africa, you can find excellent rates for the private lodges that stay open during the rains. 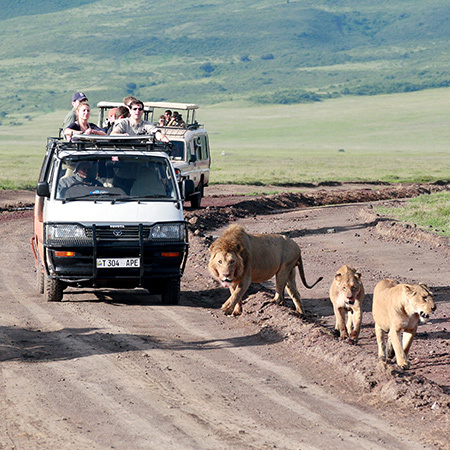 This gives you to the chance get a top notch safari at a fraction of the high season cost. If wildlife is your priority and your budget sits toward the modest end of the scale, low season East Africa is a brilliant solution. Yes, there is such a thing! Great news! South Africa, specifically, has an excellent range of more affordable or budget private lodges. While they may not quite be shoestring, they offer the very same game viewing experiences as their more pricey neighbours at a snip of the cost. If you’re heading to South Africa primarily for the wildlife, you really can’t go far wrong with one of these affordable lodges. While it’s true that the standard of accommodation might not be quite a polished and luxurious, or the food quite as decadent, they offer brilliant value for money and world-class safaris. In fact, some of the best bush dinners and guided walks that we have enjoyed have been at less expensive properties. Tanzania tends to one of the more expensive safari destinations overall, but there’s still no reason why you can’t make your budget work for you. Kenya and Tanzania both have accommodation ranging from larger safari hotels or resorts to smaller, more exclusive lodges. The larger ones are less expensive in general, but they don’t quite provide that ‘hidden in the bush’ feeling of the more intimate lodges. Of course, the wildlife is there no matter where you stay, so you’ll still get the safari experience of a lifetime, wherever you opt to stay. Also, as mentioned above, the rates for private lodges in Kenya and Tanzania tend to take a steep drop during the rainy season, so if you’re happy to swap a little sunshine for a lot more luxury, that’s also a great way to get around the cost. 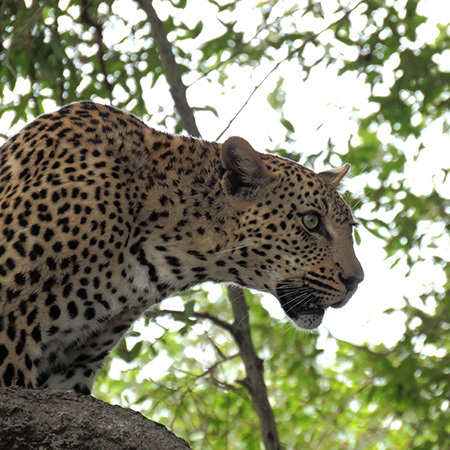 Keeping an eye on our special offers is also a brilliant way to grab a safari deal. At the moment, you can get one night FREE at a handful of exclusive safari lodges by staying 2 or 3 nights beforehand. Alternatively, we’re offering the chance to spend a night or two in a 5* hotel when you book certain safari lodges. These offers change pretty regularly, so please do keep checking back for deals that will work for your budget, or give us a call on 01932 428380. When we put together your safari holiday, we’ll try to include any special offers running at the time to give you the very best value for your money. To find out more, see our Special Offers or ask us to recommend a special offer for your trip. Using a driver-guide instead of flying into your chosen safari lodge is now a popular safari option in both Kenya and Tanzania. It’s easy to see why because it’s a great way to keep costs down. With a private driver-guide, you have the services of a professional guide for the duration of your safari, together with the exclusive use of a 4x4 or safari minivan vehicle. 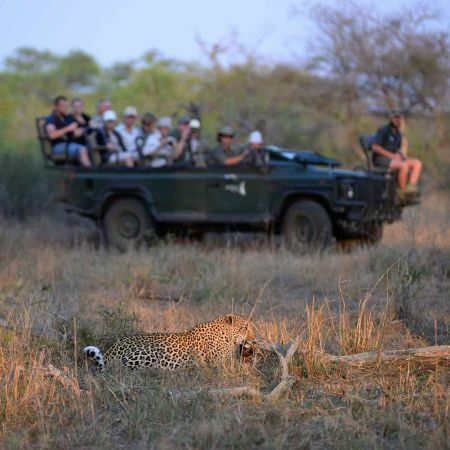 Your guide will be your personal safari chauffeur, and all your game drives (and any travelling in between) will be taken with him rather than with the lodge's own guides. He could well be your new best friend at the end of your holiday! At first glance, this kind of personal attention probably makes it sound like the more expensive option. And that’s the brilliant thing. Travelling with a private driver-guide actually has some real cost advantages. Firstly, you’ll avoid paying for return flights per person to your lodge, which can be a sizeable expense. Secondly, you can book the less expensive full board rate offered by most safari lodges and camps, which only includes your meals and accommodation. 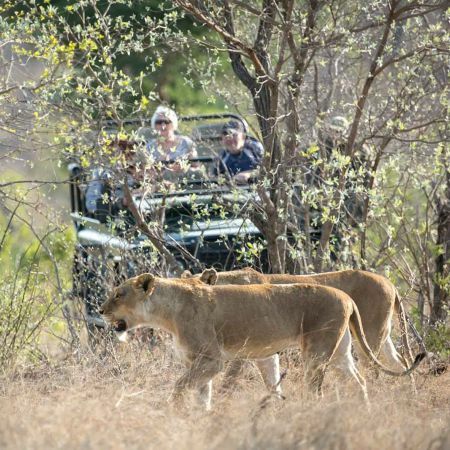 You won’t need game drives to be included, as your driver-guide will lead these personally. This can work out far more cost-effectively overall, especially if you’re travelling in a group of four or more, as the vehicle cost is shared between you. Your driver-guide's accommodation is obviously included in the proposed rate, but he will stay in the designated guides accommodation. Of course, you are not under any obligation to socialise with your guide once you arrive at your lodge, but this is obviously totally up to you! The Mkuze Falls Game Lodge is located in a wildlife-rich 10,000 hectare reserve situated in the heart of historic Zululand in KwaZulu-Natal. The 8 thatched chalets each have a spacious private veranda, providing stunning views of the reserve.